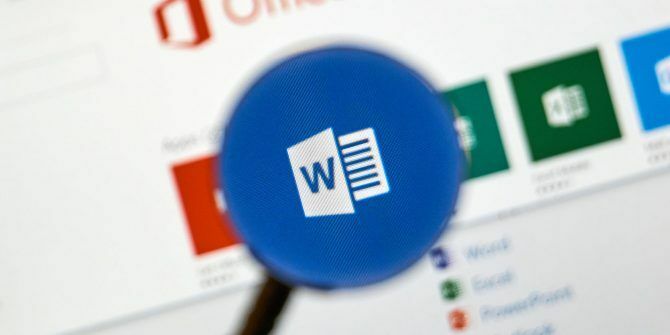 When you don’t want to work alone, Microsoft Word 2016 makes it easy to collaborate How to Ease Collaboration with the Office 2016 History Feature How to Ease Collaboration with the Office 2016 History Feature Need to work on a document with your colleagues? Tracking changes used to be tedious. With Office 2016's History feature, available to OneDrive for Business and SharePoint users, managing document versions becomes a snap. Read More . Even then, you may not want to allow anyone to make any changes to the document. You can enable protection in word and share them as read-only documents or open them to comments only. Then, there is a third type of protection where you can allow changes to only certain parts of the document. Here, you switch on the protection but also mark areas of the document which can be changed by your collaborator. Go to the Ribbon > Review > Protect group > Restrict Editing. Under Editing restrictions, select the checkbox for Allow only this type of editing in the document. Select No changes (Read only) from the dropdown. Now, you want to protect the document but also allow some parts of it to be editable by your team. Select the part of the document where you want to allow changes. You can select several parts of the document at the same time. First, select the part that you want, then hold down the CTRL and select more parts. The Exceptions setting helps you to choose between anyone who opens the document or specific users to edit the part that you selected. So, select the checkbox for Everyone or click on More users and type in the usernames or email IDs of specific team members. Go to Start enforcement and click the button for Yes, Start Enforcing Protection. The Start Enforcing Protection dialog box is displayed with an option to set a password. Users who know the password can remove the password and work on the entire document. If not, they can edit only the selected parts that are open to them. This becomes a restricted document. When someone receives the Word file, they can make changes to a specific part of the document if they have the permission to do so. The Restrict Editing task pane has navigation buttons for moving to the regions of the document that they have permission to change.